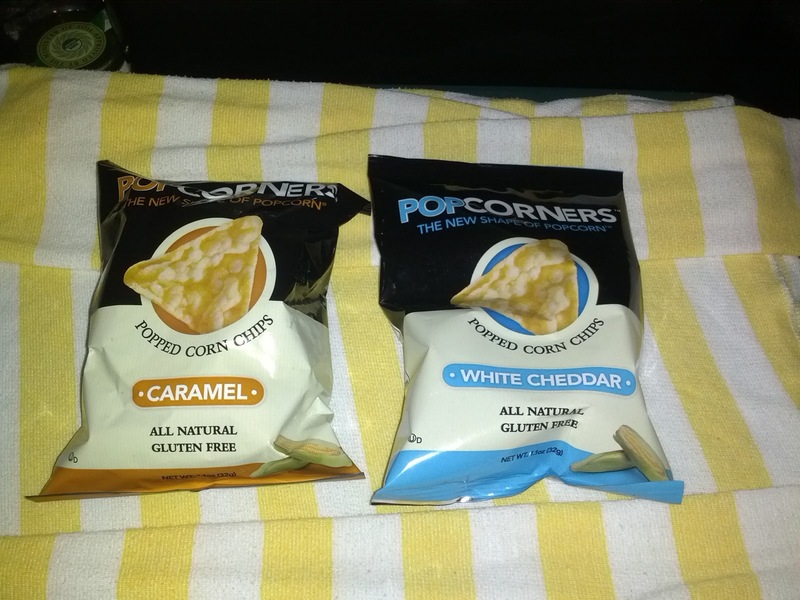 Popcorners are a fun product, sorta a cross between chips and popcorn, two snack foods I've been kinda into lately. 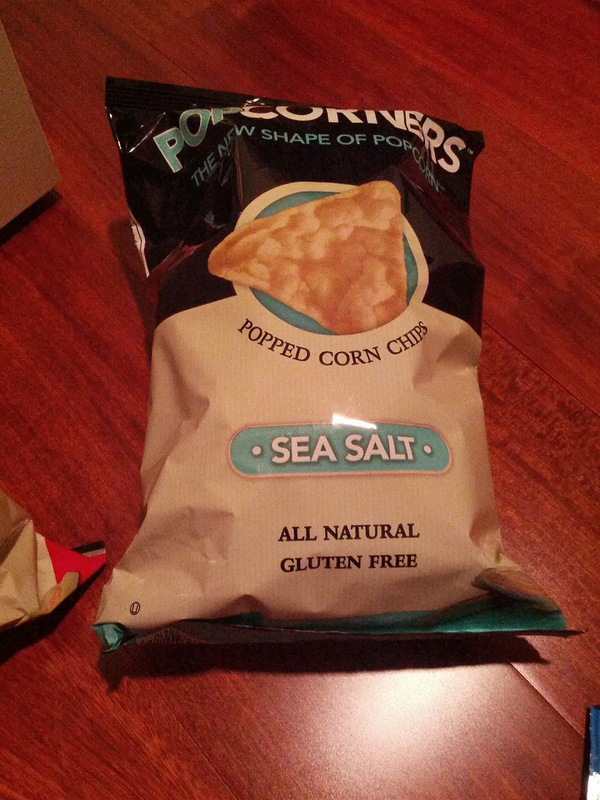 They are basically popcorn, but in the form of a chip. 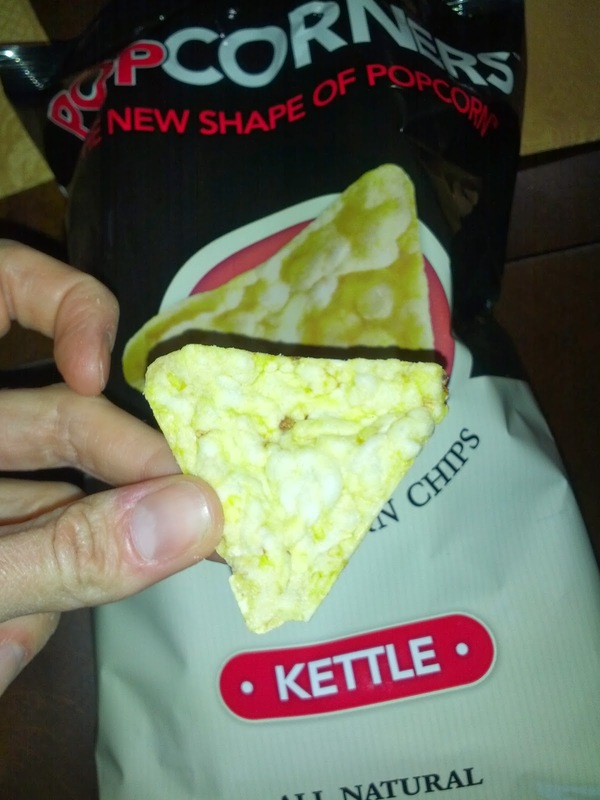 You get the crunch of a chip, but the lightness of popcorn. They remind me a little of Halfpops in that they are trying to mix popcorn with another popular snack food, although I think Popcorners are a little more successful. I first had them on a Jetblue flight a year or so ago, when I had the kettle flavor, and I recall liking them, but I didn't take any formal notes. Below are my notes on the flavors I've tried since. As always, subsequent tastings are in brackets. 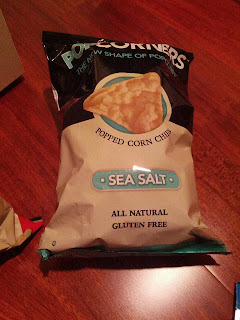 Slightly salty, more like a traditional chip though, and just not all that interesting. Saved the best for last. When I'm not in the mood for the savory white cheddar flavor, these are my other favorites. A bit sweet, a bit salty, and incredibly addicting. I have a VERY hard time stopping eating these once I get going! A few weeks ago, I went to an event at Tres, a casual "Tequila Lounge & Mexican Kitchen" in SOMA. We sat in the bar area, and ordered off the bar menu for food and drinks (and, of course, since I was there, some desserts!). I haven't been to many casual bars lately, so I don't have a lot of comparison points, but this was not a good experience. My opinion may be also slightly skewed by the fact that they served me watermelon, which I'm deathly allergic to, and when questioned, told me it was persimmon. Yikes! We weren't provided with any serving utensils, nor an adequate number of small plates. The food was pretty bad, had no flavor, and was all very oily and fried. On the upside, the bathroom was nice. I see no reason to ever return. I was there as part of a large group, and didn't feel like I could hold everyone back in order to take photos, so I apologize in advance for the poor photos. 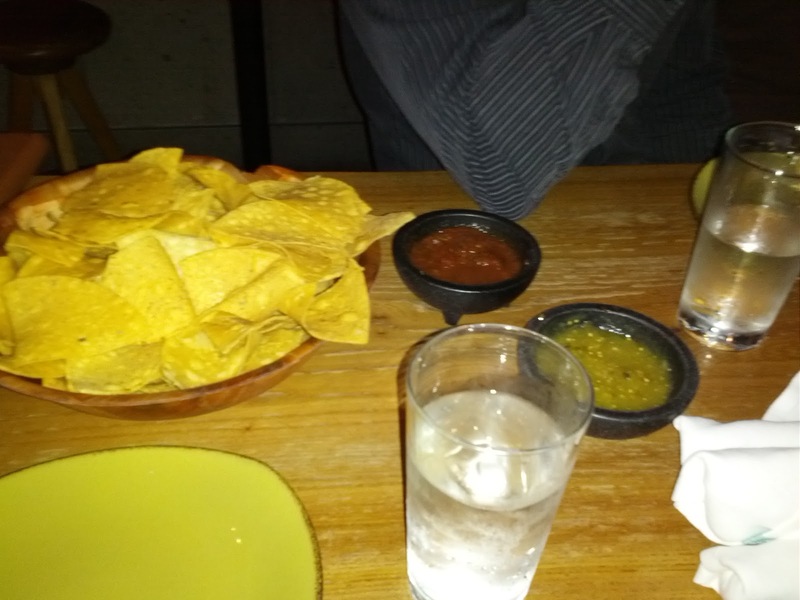 We were provided with a continuous stream of chips and salsa. The chips were very generic, thin style, not warm, not salted. The red salsa had a slight amount of heat to it, but not much. The green was watery and not very flavorful. This was all very unremarkable, but at least better than Nick's Crispy Tacos. Calamares: Chile jalapeño, crispy onions, roasted jalapeño aioli. $10. 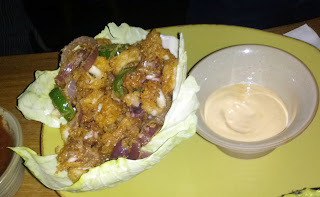 Fried, battered calamari, red onion, and jalapeño, served in a iceberg lettuce leaf. The calamari was mostly rings, with a few tentacles It was pretty tender, and not fishy. Better than most. I liked the addition of the onion and jalapeño as well, basicallly fried onion strings and a tiny bit spicy jalapeños. The best part was of course the jalapeño aioli. Creamy, slightly spicy, pretty good. My best bites of the night were the crispy onions dunked in the aioli. No serving utensils were provided, which made for awkward grabbing of bits of calamari. The serving vessel was an iceberg lettuce leaf. For reals? They still make that stuff? I kinda doubt we were expected to eat it. This was by far my favorite of the dishes of the night, and the only one I remotely enjoyed. I'm not sure I'd order it again, and $10 seemed a tiny bit pricy given the portion size, but it wasn't bad. Taquitoes Vegetarianos: Potato-filled & topped with chile poblano crema, lettuce & queso fresco. $6. Fried shells filled with mushy potato. The filling had no flavor, and the shells were overly oily. Also on the plate was some forgettable shredded iceberg lettuce, mild flavorless queso fresco, and the chile poblano creme, that was completely flavorless. No idea where the chile poblano was! The pico de gallo, not listed on the menu, was the best part. Fairly fresh tasting tomato, with a bit of flavor. And again, more iceberg. I like fried, and I love mashed potatoes, but this just did nothing for me. Meh. My least favorite of the dishes. I only got a photo of the edge of the dish, but I think there were 5? on the plate originally. $6 was a good price for so many tacquitoes. 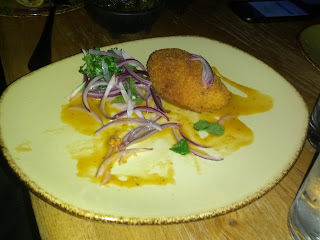 Papas Rellanas: potato croquettes filled with house chorizo, criolla salsa. $8.50. These were fried mashed potato balls, filled with chorizo. 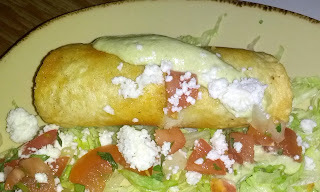 The outside was crispy, but like the tacquitoes, overly oily, in a way that took over the flavor. The potato, again like the tacquitoes, was just mushy and flavorless. Even the chorizo was really lacking any flavor. And what was with all the red onion on the plate? Would anyone really just eat that much raw red onion? Of the 5 savory dishes, this one ranked third for me. I would not get it again. There were two of these on the plate, but someone grabbed one before I could snap a photo. $8.50 for two of these seemed pretty pricy. Empanadas: epazote & cheese. $8.50. These were perhaps the least flavorful dish of the night. The dough was flavorless, at least this time, it didn't taste like oil like the rest of the shells. The filling seemed to just be generic cheese, I didn't find any epazote. There was seriously just nothing going on with these. And again, a bunch more red onion garnish. They also don't win any presentation points, although they were clearly trying. 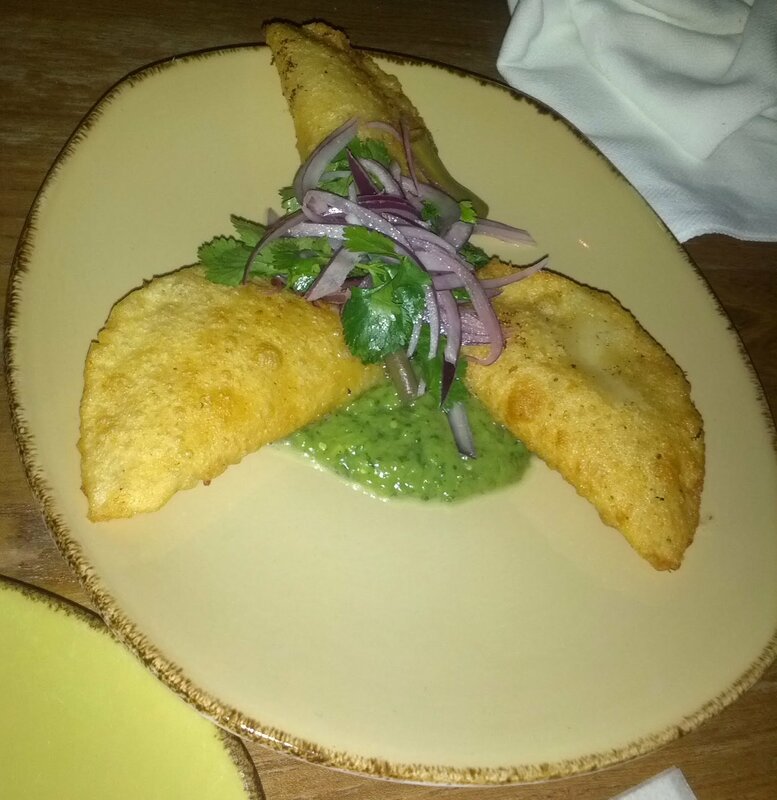 The sauce was in the middle, the empanadas faned out, but they were totally off center. If you are going to try to make things look good, please follow through! Second to least favorite, would not get again. $8.50 price for 3 seemed about fitting. 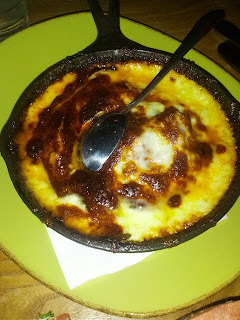 Queso fundido: red chorizo, chile anaheim, roasted corn. $13. Cheese with some slices of anaheim chile and corn kernels embedded in it. There is normally chorizo, but I didn't find any, and I think we might have ordered this vegetarian to accomodate some vegetarians in the group. It was hot and fresh, the cheese was enjoyable in the way that molton cheese is. I found the very small amount of corn and chili annoying, and wished there was more of those components. Maybe when it has chorizo in it that completes it better? It was served with a side of tortillas, which I didn't get a photo of. There were only a few tortillas, not nearly enough for all of the queso. This was ok, as we had chips we could dip in it instead, but the ratio was definitely off. The tortillas was warm, but unremarkable. This was my second favorite dish, and was almost decent, but I would not get again. $13 seemed pretty pricy. 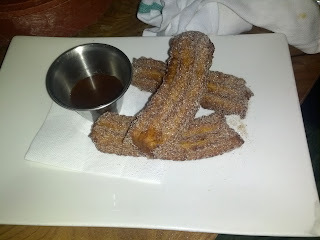 Churros con Chocolate: homemade churros, calle 23 reposado caramel sauce, mexican hot chocolate. $7. The churros were hot and fresh, but very doughy inside. Coated with a decent amount of cinnamon and sugar. The caramel dipping sauce was entirely flavorless. It didn't taste like tequila or caramel or anything. Maybe a little bit sweet. On the side was a mug of mexican hot chocolate. It had some slight cinnamon flavor, but was very watery, and not very chocolately. $7 was a fine price for a dessert, but this wasn't very good, and I wouldn't get again. Flan de Elote: caramel, blackberry, mexican wedding cookie. $7. You may notice that the description said "blackberry", as that is what the menu said, but there is no blackberry in this photo. Instead, there is WATERMELON. You may recall that I have a severe watermelon allergy. Epi pen carrying severe. Whenever I go to a restaurant, I always read the menus online first, to make sure there is no watermelon. If there is any, I let them know when I make my reservations, and again when I'm seated, about my allergy. I also scan the entire menu when I arrive to double check, and usually mention my allergy even if I don't see watermelon on the menu. My allergy is severe to the point where using the same knife and cutting board would send me into anaphylaxis. As always, I read the online menus. I read the menus at the restaurant. No watermelon. And since it was a big group event, and in a bar area, I decided not to bother them with telling them about my allergy, it didn't seem worth the complication. 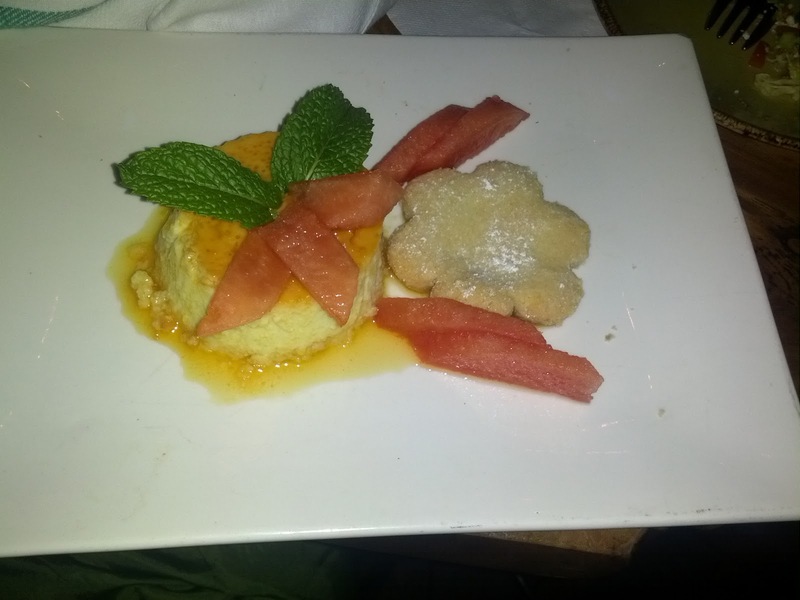 When this arrived, I had forgotten what the description said came on the side with the flan, besides the cookie. I took a bite of the flan, and then skewered a piece of the fruit with my fork. I couldn't quite tell what it was, as it was dark in the room, but it seemed very melon like. Sirens went off in my head. I pulled out the menu, and saw "blackberry" listed. Clearly this was not blackberry. More sirens went off. I quickly called over our server, and she said "oh, yeah, they were out of berries, I think it is persimmon". Persimmon would make sense, as it is peak persimmon season right now. And it almost looked like persimmon, but even in the dim lighting, the color seemed off. I told her about my allergy, and asked her to double check. She came rushing back out a few minutes later, telling me that yes, it was watermelon. AHHH! This is the closest encounter I have had in years. I even had a bite of flan off of this plate. My throat did feel funny, but it never closed up. I blame myself for not mentioning my allergy, but I was also pretty annoyed that they made that substitution, and that she told me it was persimmon when I asked. I understand running out of ingredients and switching something else in, so I don't really blame the restaurant, but this was pretty scary. She brought out a replacement without the melon. The cookie was dry and flavorless. The flan was pretty unremarkable, the caramel not very strong. Meh. Definitely not worth an ER visit. $7 price was again decent for a dessert.